There's something out there for everyone, you just have to find your own thing. Aileen told me a hilarious story about her skydive a few years ago. She was sick several times during the dive, and her captive instructor was unable to avoid the 'fallout'. He was not pleased. It was funnily comforting to hear that not everyone takes such scary stuff in their jumping stride. Not that she was the first person I'd heard of who hadn't conducted herself with total dignity - like Sheila, when at the last moment, back in 2007, and not long after the bombing attacks in London, she became convinced her buddy diver was a terrorist who was going to kill her. As they tried to exit the aeroplane she made herself as large as possible, trying to wedge herself into the doorway. When her innocent instructor tried to open the parachute,having managed to get her out the plane, she clung onto his legs as she was sure he was trying to unhook her. Now, I can relate to that level of irrationality when faced with fear. Running Girl then proved that Aileen's experience was not a one off, as she jumped last weekend, and was sick 4 times in what is presumably a very short time. The Instructor was very understanding at first, and somehow found the time to ask her to stand on his feet and shut her eyes so that she would get the sensation that she was standing on the ground. "Feeling better now?" Nope - barf. "Oh god, any better now?" Nope. "Turn you head away, then." Barf. Barf. "Ok, that's enough. You have to stop being sick now as we are about to land." Almost a week later, she's still feeling nauseous. 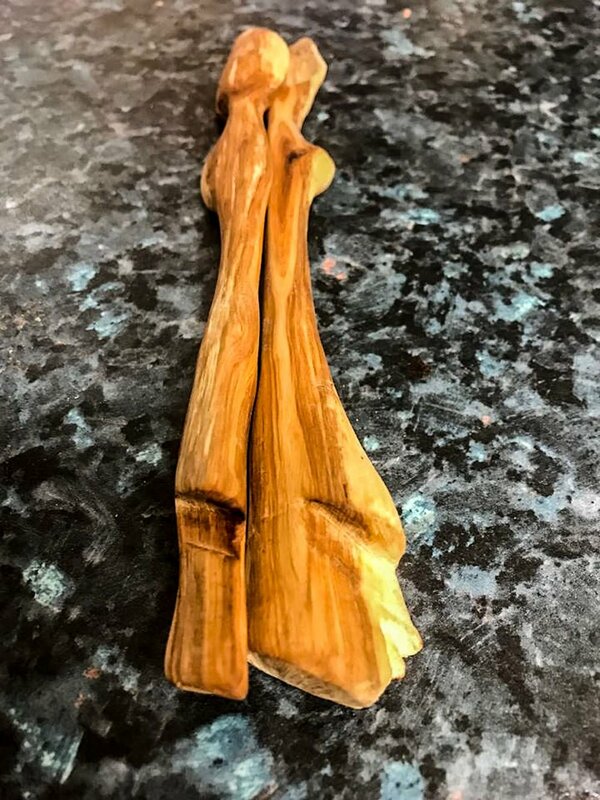 A couple of months ago I was having breakfast with my current neighbour and The Girl Next Door (who doesn't live next door anymore,) and TGND showed us a tiny wooden spoon that a young man had whittled for her baby daughter - Tallulah. 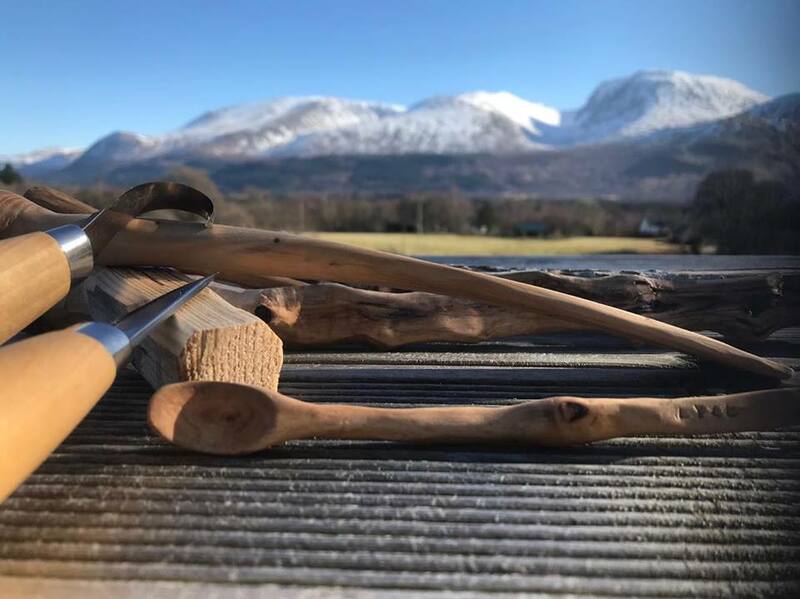 Now - it wasn't long before the oohing and ahhing over the exquisite wee spoon became oohing and aahing over the young man who'd made it. It's so gorgeous/he's so tall/isn't his beard lovely????? There was something about a man whittling a tiny baby spoon that was melting them. 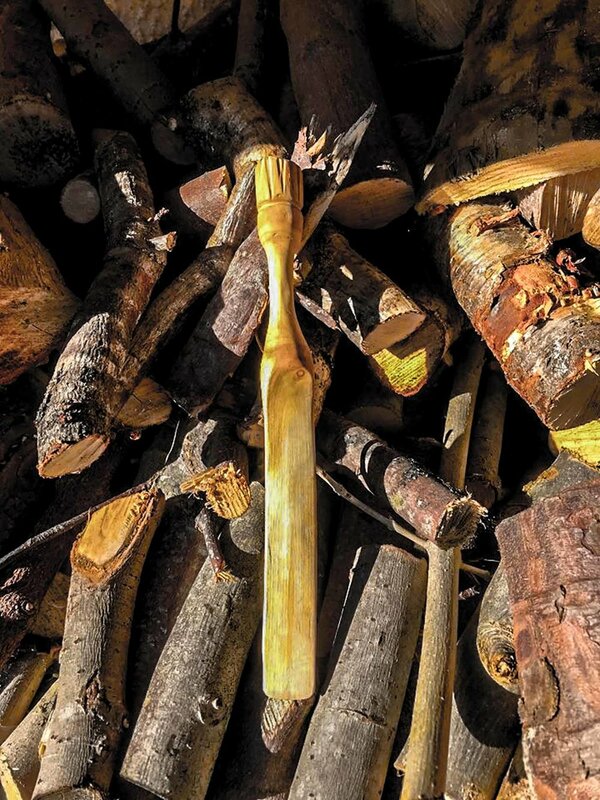 When I bumped into his girlfriend, I asked her how long he'd been whittling, as he was clearly an expert. But it was a spontaneous creation out of a kindler for the fire, had taken 3 evenings and had been polished up using her beeswax moisturisor. And I thought - maybe this could be my thing? 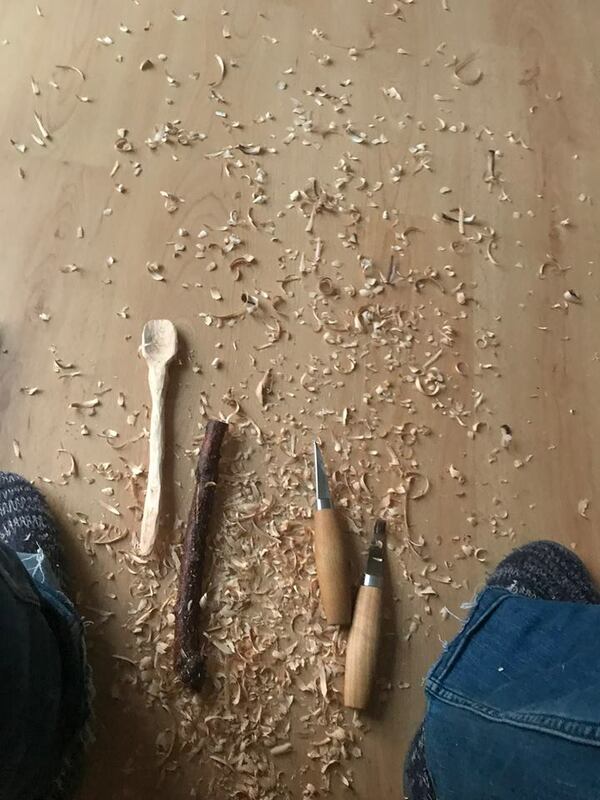 I bought a stanley knife, selected a kindler and dived into the wonderful, safe world of whittling. But I could do it anywhere. 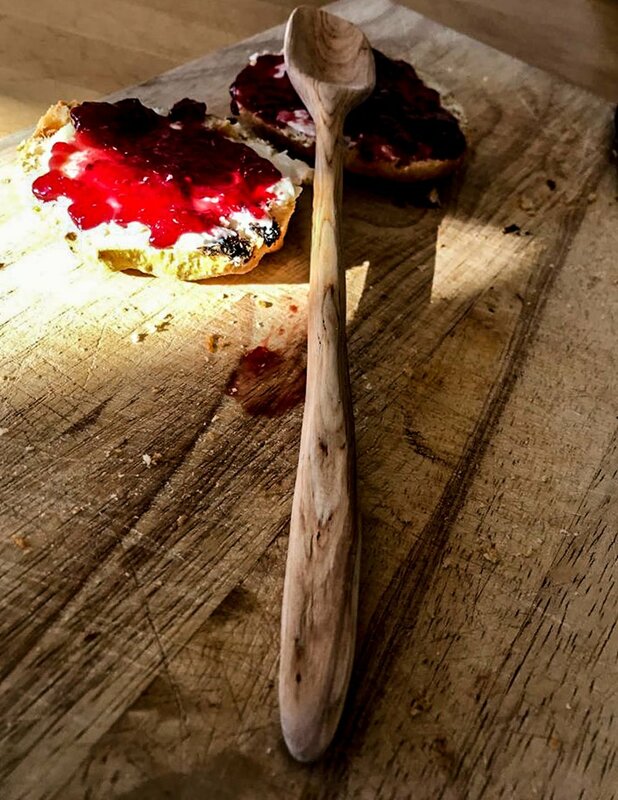 Once I'd started a spoon, I couldn't stop until it started to look like a spoon, and then I needed to sand it to see it's true potential, going to bed too late and trying to resist all attempts to make me put the spoons down. 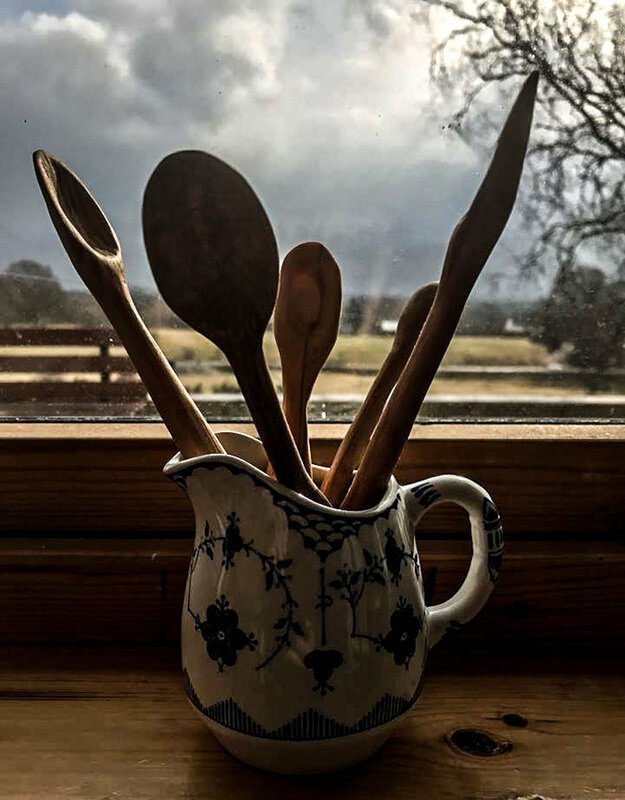 After 30 minutes of Spook glowering at me one night, because he'd invited me to walk up the hill behind the house so that we could watch the Aurora Borealis which the forecast assured him we would definitely see, I had to put the spoon down, walk away from it and climb up the hill in the huff. True, there was a sky full of stars, and yeah, yeah, it was a lovely night. But Spook and I are destined never to see The Northern Lights and sure enough, there was not a glow to be seen. Thankfully Spook salved the situation with a Highland Park whisky which he'd packed into his rucksack......the man is wise. He went away for a night soon after, so I was free to whittle at will. I could whittle in front of the TV, in between meals, get into my jammies early and get in some last minute whittling before bed, and no one to look at me as if some kind of madness had consumed me. I was in bed, sound asleep, snuggled up in my pyjammas, when he came home late the next night. He hopped into bed, yelped and hopped right back out again. "what the hell's been going on in this bed????" "Have you been whittling in here????" It seems that it's not only Spook who finds my new habits challenging. Climbing Kev wasn't sure how to respond to my raiding his log pile and then insisting that I'd added value to it by whittling a log into a spurtle which I then gifted to him. He really wants to put it in the fire as originally intended but knows that I will do spot checks when I come round for a cup of tea. A new friend, who doesn't know me very well, asked me to make a special present for an anniversary present. She has no idea the commitment she is making in taking possession of my spoons. First, you take a cut down tree, and then you convert it into something equally knobbly. But such frantic whittling comes at a price. Now my hands hurt!. I mean, really hurt. 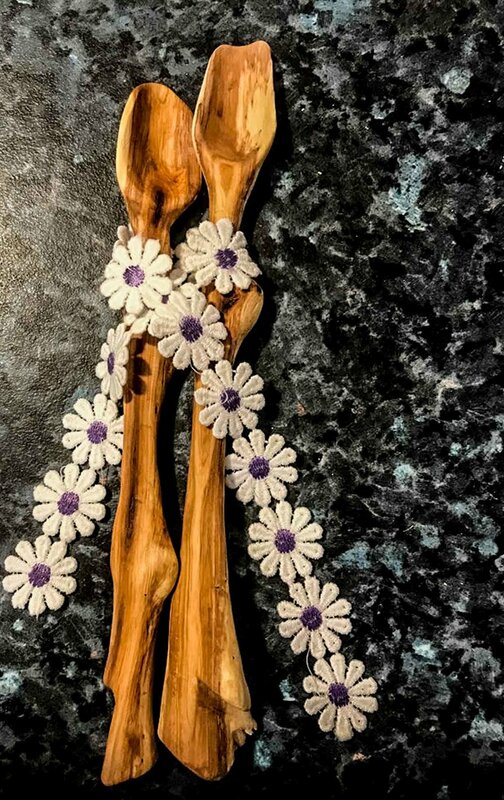 The whittling has had to be kept to a minimum, and I have to go out on my bike or go for a run every now and then, and I'm not allowed to refuse romantic dates with my husband on account of spoon completion issues. Kev does not need to lock up his wood pile and I need a safer past time. 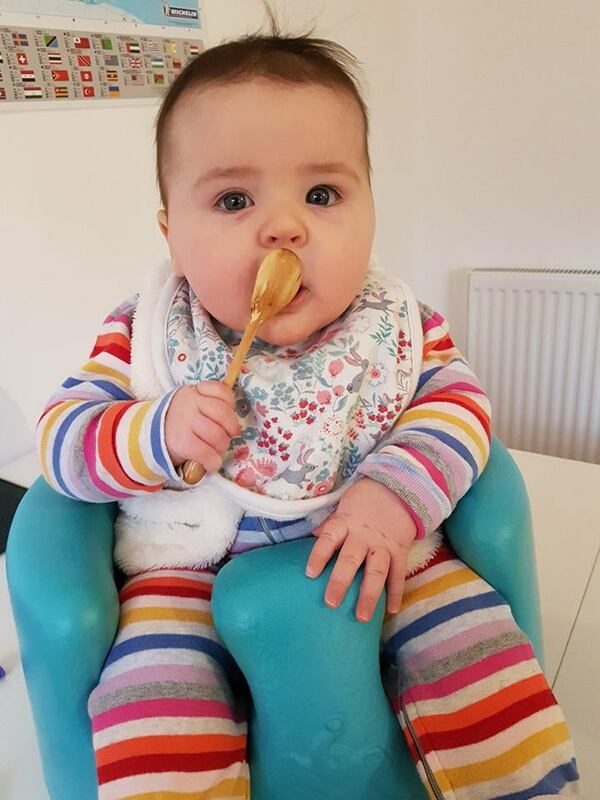 There IS someone who can enjoy her spoon without harassment. That's because I didn't make it. Ah - who's oohing and aahing now?